Norwegian telecoms firm Telenor hasn’t given up on doing business in India despite getting caught up in a major political conflict that left it without licenses to operate mobile phone service through an Indian partnership. On Wednesday it won new licenses at a state auction, and said it intends to continue offering mobile phone service as part of its major overseas expansion. Telenor sent a message to the Oslo Stock Exchange confirming that it had secured frequencies to operate in six heavily populated regions of India after submitting a bid valued at around NOK 4.2 billion (USD 700 million). The Norwegian state remains Telenor’s largest shareholder and government ministers involved themselves in the conflict last spring, when the company was faced with huge losses tied to its Indian operations. Telenor had triumphantly entered the Indian market in 2008 through an alliance with Indian firm Unitech, only to almost see the entire operation shut down. Together, Telenor and Unitech had created the mobile phone firm Uninor, which aimed to capture a significant slice of the huge mobile phone market in the densely populated country. Unitech, though, ended up being among companies suspected of corruption in the distribution of earlier mobile phone licenses, and the licenses that allowed Uninor to offer mobile phone service were eventually cancelled by India’s highest court. 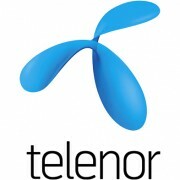 Now they’ve been auctioned off once again and Telenor was among the bidders trying to salvage its Indian operations. Telenor chief executive Jon Fredrik Baksaas said he was glad his company could continue operating in India, calling an ongoing presence in the country “vital” for Telenor’s growth strategy.